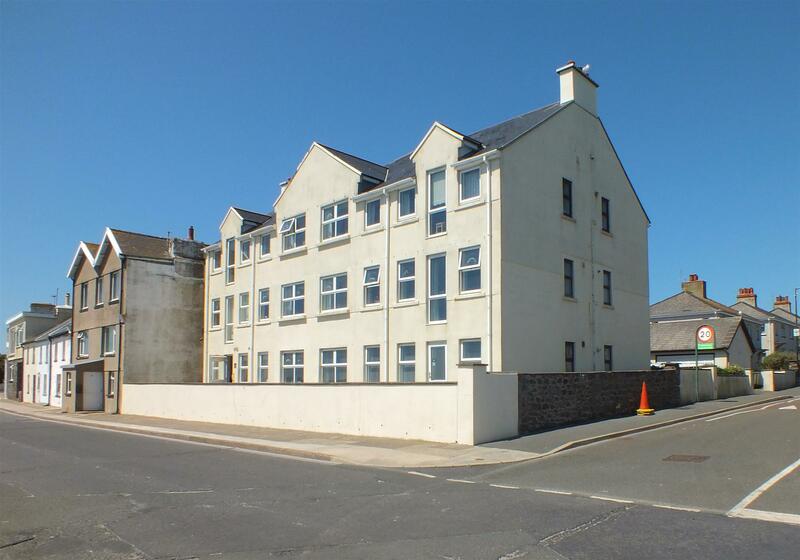 Purpose Built 1st Floor Seafront Apartment Enjoying Fabulous Sea Views. Walking Distance to the Islands Ancient Capital & King Williams College. A Short Drive to Ronaldsway Airport. Stunning Coastal Walks on the Doorstep. Light & Airy Accommodation with Excellent Storage Facilities. Secure Communal Entrance Area with Intercom System & Lift to All Floors. Comprising Spacious Lounge Diner with Panoramic Views. Adjacent Dining Kitchen with Appliances, Again Enjoying the views. 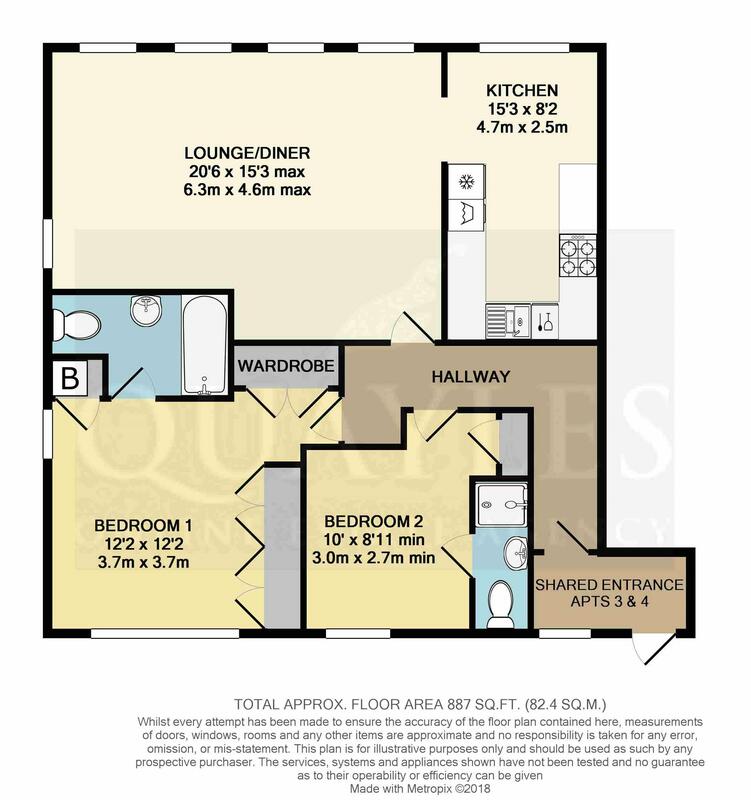 2 Double En Suite Bedrooms with Built In Wardrobes (1 Bath & 1 Shower Room). Single Garage & Off Road Communal Parking Area. From the airport travel into Castletown along the A5 taking the first exit at the mini roundabout into Shore Road. Continue to the end and turn left onto the Promenade. Derby Court will be found on the corner of James Road, with plenty of parking behind the building. Lift and stairs to the upper floors. Private entrance area for apartments 3 and 4. Deep cornice. Coat hooks. Telephone and power points. Smoke detector. Intercom handset. A spacious, dual aspect room with a timber framed window to the side and uPVC windows to the front offering panoramic sea views. Naturally separated into a lounge and dining room. Coved ceiling. TV and satellite points. Door to the kitchen. A further bright and spacious room with a uPVC window to the front enjoying the sea views. Ample space for a table and chairs. The kitchen has been fitted with a range of white coloured wall, base, drawer and glazed display units together with laminated work surfaces incorporating a 1 1/4 bowl cast sink with a mixer tap. Integrated fridge, freezer, dish washer and washer/dryer. Background tiling and center lighting. Coved ceiling. Heat sensor. Vinyl floor covering. A double room with a recess fitted with a built in single wardrobe. Double glazed timber framed window to the rear. Coved ceiling. Tiled to mid height and fitted with a 'Roca' suite of WC and hand basin with a glass shelf and shaver light above. Tiled cubicle housing a fully plumbed 'Mira' shower. Mirror fronted cabinet. 'Addvent' extractor. A superb dual aspect double room which could accommodate either a 6ft or twin beds. Timber framed double glazed windows to the side and rear. Measurement includes two spacious double wardrobes with a shelf and hanging rails but excludes the entrance area, a further double wardrobe and the airing cupboard which houses the regularly serviced 'Saunier Duval' gas fired combi boiler. Coved ceiling. Door to the en suite bathroom. Part tiled and fitted with a white 'Roca' suite of WC, panelled bath with a mixer shower over and a pedestal basin with a vanity unit surround. Mirror fronted vanity unit. Double shaver point. 'Addvent' extractor. Coved ceiling and recessed downlights. Communal parking area to the rear with one designated space and a single garage. Leasehold 999 years from September 1997. Fixed ground rent £100 per annum. Approx £2,000 per annum - variable. Managed by DD Management. Fitted carpets, curtains & light fittings.